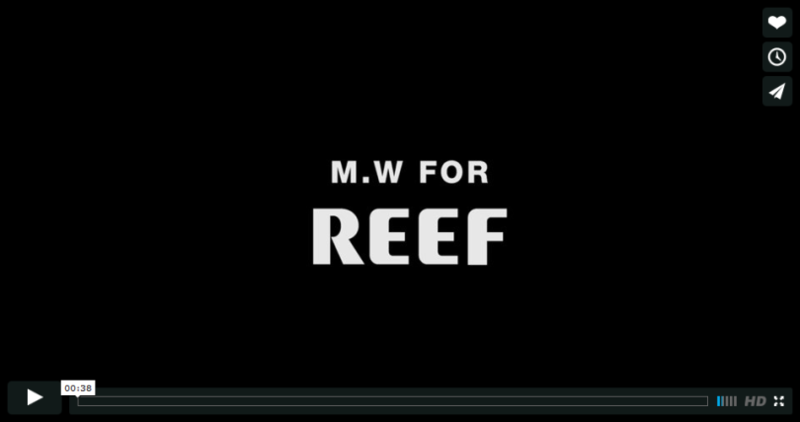 (Carlsbad, CA)– June 3, 2015- Reef, the global surf lifestyle leader, released a one-of-a-kind capsule collection with Masafumi Watanabe: M.W for Reef on Thursday, May 28th. Reef hosted the launch at Kinfolk 94 in Brooklyn, New York, a both open and intimate space to showcase the line and celebrate with music by DJ Soul, DJ Natasha Diggs, and DJ Eiko. For this unique collaboration, Masafumi Watanabe has juxtaposed Reef’s authentic beach culture with high-end Japanese design. The Japanese-born, London-educated designer is known for viewing American and British heritage through a Japanese fashion lens. Masafumi is best known as the founder of Bedwin and the Heartbreakers, an apparel collection globally respected for paramount quality and attention to detail. The Reef design team has long admired his seamless blending of streetwear and sophisticated menswear. For this collaboration, Masafumi was inspired by his appreciation for the surf lifestyle, Reef’s diverse roster of global ambassadors, and the brand’s ‘Just Passing Through’ mindset for a modern-classic aesthetic. Masafumi’s vision and focus for the 19-piece capsule collection was to create quality and timeless looks for anyone to wear. His approach is spinning fresh twists on time-honored design. The M.W for Reef collection blends classic American menswear with his interpretation of 1950’s California surf, complimented by details and color pallets reflective of the ocean. The all-encompassing apparel range includes the timeless appeal of Oxford shirting and twill Chino bottoms designed with quality, simplicity, and fit in mind. Combining comfort and look, fashion and tradition, M.W footwear delivers unique details without sacrificing everyday wearability. Masafumi put his twist on the Reef Rover shoe (featuring Swellular™ Technology) by adding classic, subtle colors combined with smaller, bright pop detailing on the Rover Low M.W and Rover Mid M.W. His designs and coloring were also applied to the Reef Voyage sandal silhouette. The premium raw leather deck and iconic Vibram outsole of the Reef Voyage M.W are complimented with Masafumi’s new stitch detailing. The Rovers and Voyage M.W are available in both men’s and women’s styles. Rounding out the collection with Masafumi’s personal touch are the M.W Bucket Hat and the Reef Switchfoot Prints M.W rubber sandals. Vintage Japanese woodblock prints on each underscore the collaboration and also appear in the liner fabrics. Masafumi’s signature print detailing also carries over to the Women’s Reef Chakras M.W sandals.